​Yasmani Grandal is the newest Milwaukee Brewer on the block, after the former Los Angeles Dodgers catcher ​signed with them in free agency. So, how does a new player navigate around a different locker room? Well, the​ Brewers gave us a hint on Sunday, as they posted a "Mean Girls" parody, featuring Grandal and his "Map to Spring Training." Grandal playing the role of the Brewers' Cady Heron (Lindsay Lohan). Brent Suter as the leader of the Hollywood Wannabees (parody of The Plastics). Josh Hader using the word "fetch." 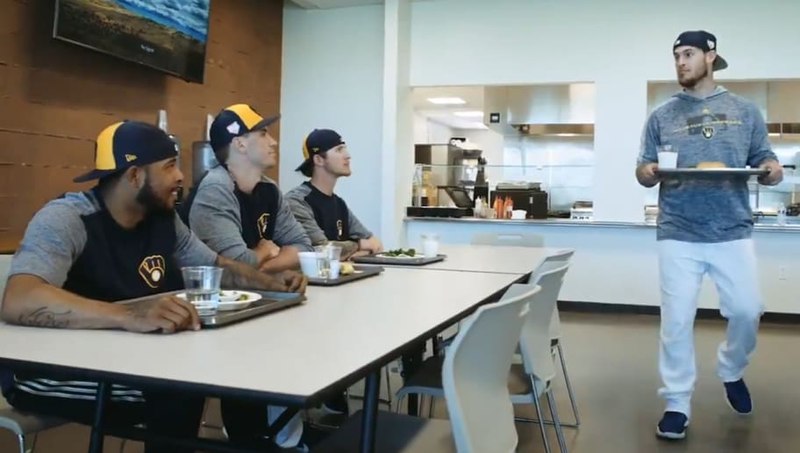 This video had it all, and gave Brewers and non-Brewers fans plenty of laughs. Honestly, this probably isn't far off from how it really goes down in a brand new clubhouse. Show of hands, how many people in Milwaukee actually knew Yasmani Grandal beforehand? He might as well have come from a different cot with his zoologist parents. Give the Brewers all the social media awards for this one.